Prompt: Puns have become illegal. 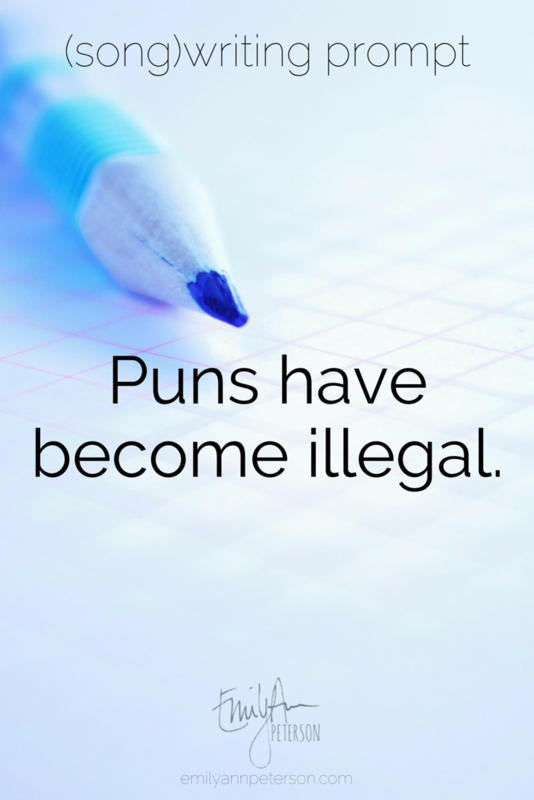 Further Prompt Challenge: Puns (my favorite thing in linguistics) have become illegal. Are you a rule follower? Can you withstand the temptation to use one in conversation? Do you use them at home, when no one's looking? If so, who is in your inner-circle of pun-sharing trust? What puns are worth breaking the rules for? What story led to the banning of these?